Our hearing is an ability that almost all of us takes for granted; it helps us to get around in the world, communicate with each other and experience the sublime states that only music can give us. Protecting our hearing is another matter; the devices are bulky, impractical and shuts out a lot of important auditory information. Luckily for us, a remarkable and innovative invention plans to change all of that. 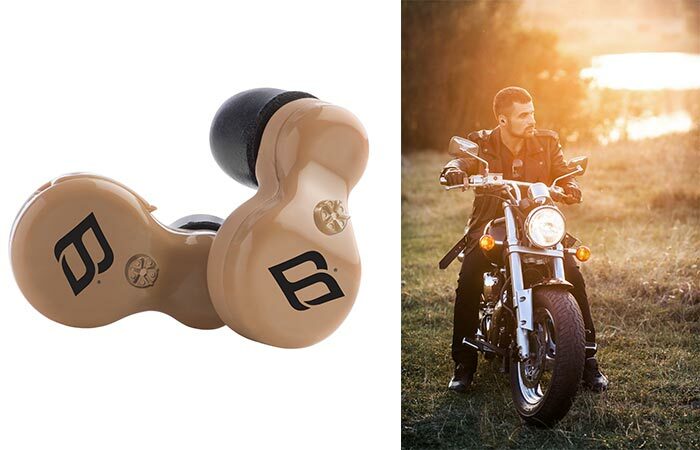 Introducing the H2P by Prosounds, earbuds that protect and enhance your hearing. Everybody that works in the industry, or that has gone shooting, knows how important information gets lost when we are wearing hearing protection. Not to mention that they are uncomfortable. Well, the H2P Earbud Line by Prosounds completely turns that around. Gone are the days of bulky hearing protection. They look good, amplify sounds and protect your hearing, all in a days work. What makes them so special? It’s their ability to both amplify and protect your hearing simultaneously. When noise levels reach above 85dB, which is considered loud enough to be detrimental to our ears, the H2P activates and reduces the noise level by 30dB. On the other hand, the H2P also enhances your hearing by amplifying important sounds by up to 6 times. For protection, these earbuds utilize Digital Compression Hearing Protection technology and to ensure that you have optimal sound quality, all the sound is filtered through 100% Lynx Digital Sound Clarity. Coming in 4 different colors, as well as with 2 different types of tips, the H2P can molded to your own style. The uses for these are only limited by your imagination; motorcycle racing, concerts, industrial work, shooting and many more. These earbuds also incorporate universal SecureFit technology that will fit anybody’s ears and they are perfect to be used at concerts, in the industries, auto-racing, for safety, sporting events and many more. When your H2P earbuds arrive, you’ll also get a protective carry case, comfort foam and silicone tips, SecureFit extenders, cleaning brush, open ear soft tips and 10A zinc hearing aid batteries. 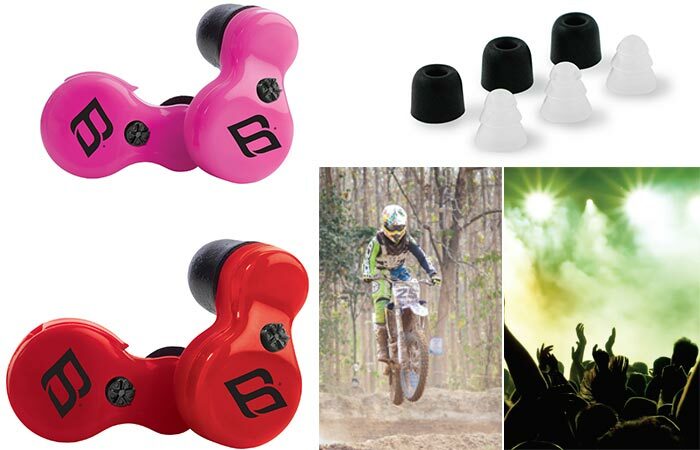 You can purchase the H2P earbuds in 4 different colors – red, tan, black and pink.